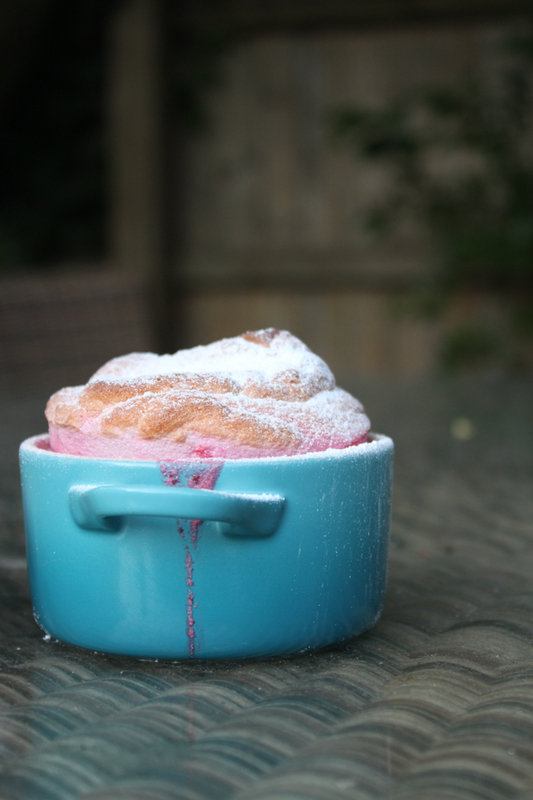 This soufflé is so incredibly light, it is almost like eating pink air! The tang of the raspberries couples beautifully with just a touch of sweetness, but not too much. It allows the wonderful, natural flavour of the raspberries shines through. 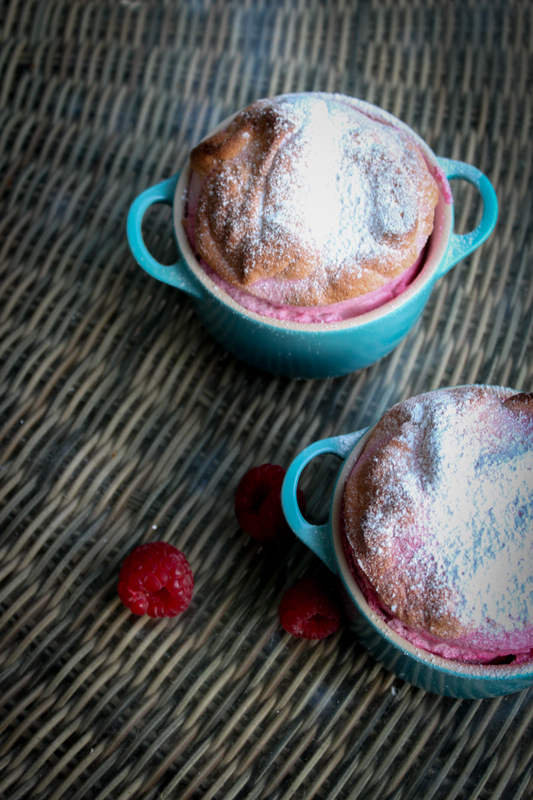 To be honest, this soufflé is beautiful by itself without the coulis, but if you fancy an extra kick of raspberries and an adult twist of boozy fruit cordial, the coulis makes an excellent addition. Just make sure you create a hole in the soufflé first before pouring a dash in! I also love that this dessert doesn’t make you too full. It is the perfect, light and sophisticated ending to a summer menu. 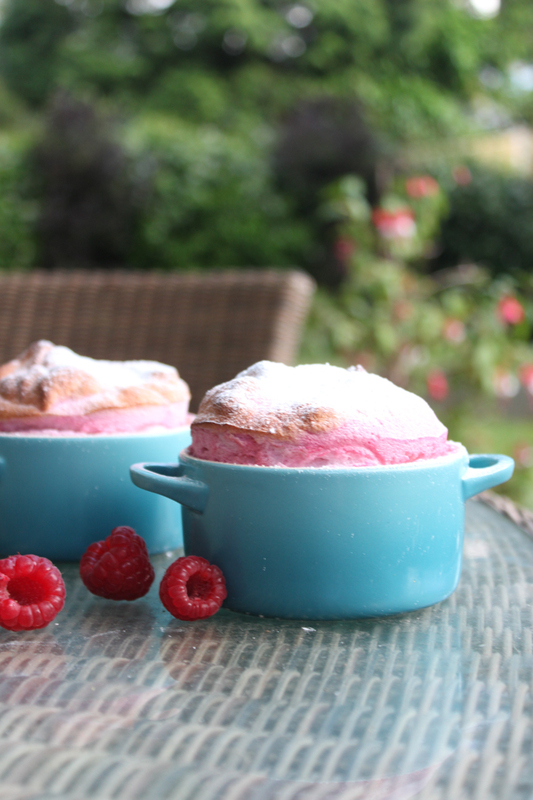 I have also wondered whether this soufflé would work as well with other summer fruits: strawberry, blueberry, blackberry, cherry… If you decide to try another fruit soufflé, do let me know how it turns out! 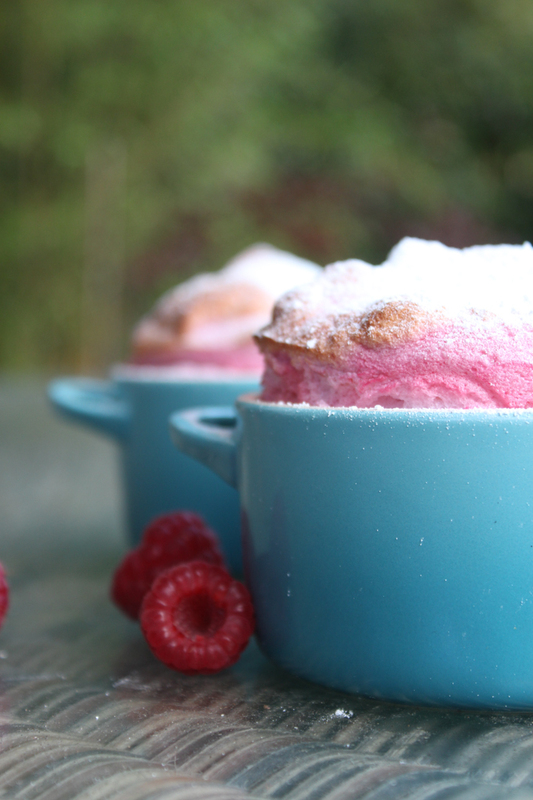 Just posting these photos is giving me a craving to eat another raspberry soufflé! It is late afternoon/early evening, a time when I always feel rather peckish. I am currently tucked away in my school library, most people have gone home and I am joined only by the ticking of the clock. The sun is shining outside on the lawn and gardens and tonight’s end of term staff BBQ beckons. Unfortunately, I live far away enough from the school that a journey home and back again would take too long, and so I hide here and tap away with a steaming cup of tea. 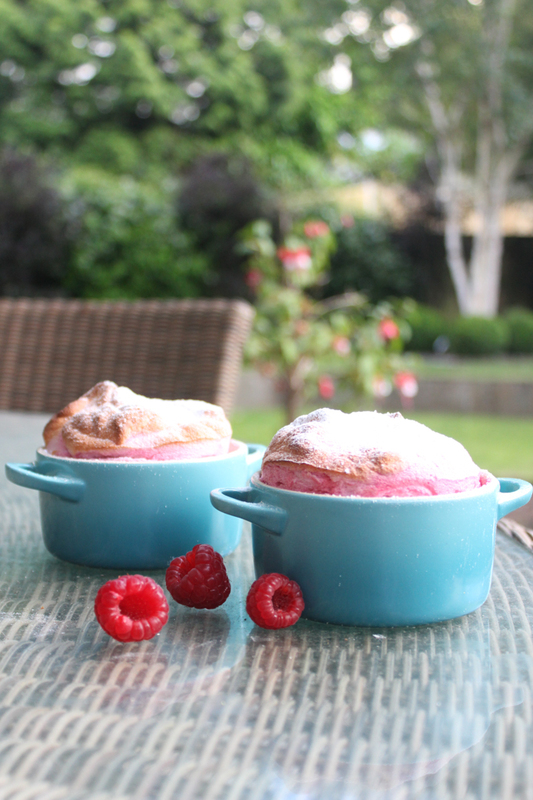 A little ramekin of pink, raspberry soufflé would be perfect right now! Or perhaps instead of the tea, with a glass of champagne! Now, before you rush off and gather your raspberries to make this soufflé to impress all your guests, on to the writing tour! 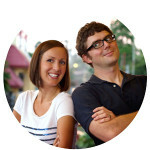 Recently, I was contacted by the lovely Lindsay from The Local Taste to take part in a blogger’s writing process tour. What’s a writing process tour?! I hear you cry! I hadn’t heard of it either, but I’m very glad I did. It’s an initiative to give our lovely readers (that’s you!) an insight into blogging; what goes on behind the scenes, what we do and how we do it. 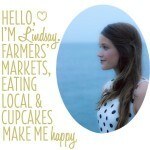 I was absolutely thrilled to be contacted by Lindsay as I adore her blog. 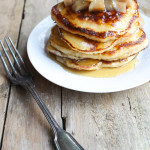 Lindsay lives in Nashville, America and her gorgeous blog is packed full of delicious recipes and mouth-watering photography. 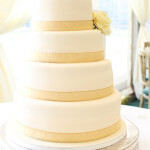 I just want to dive into her photos and eat all the food straight away! I’ve LOVED exploring photography since blogging, and Linsday’s photography makes me happy – bright, beautiful, and full of character and story. You must check it out! As my blog is so new, I am working on almost everything all of the time! When I first decided to write The Foodie’s Way, I made a little mind map (the teacher in me) of everything I wanted it to stand for and the kinds of things I wanted to write about. I have always loved food, art and writing, and the blog just brought all of those elements together. I am passionate about good, honest food. 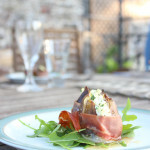 Food sourced locally wherever possible and eating in season. I am also interested in the nurturing nature of food, not just from a nutritional point of view, but from a sociable, family and friends point of view. Good food (and good wine!) bring people together. At the moment, I am working on developing and discovering new recipes, improving my photography and building up my portfolio. In the near future, I’d like to delve more into food + travel and also getting to know the people behind the food: the restauranteurs, the growers and the farmers. This is what my ‘meet’ section will be for – a coffee and a chat with a fellow foodie in the food world! I’m not sure that it does! I have pored over so many beautiful blogs and have been inspired from each. My blog is a little inspiration from those I admire, plus following my own heart and inspirations. Art, design and beauty play a significant role. 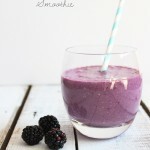 I want my blog to look delicious and inviting as well as the recipes in it! In the future I hope to have a more unique element in terms of the ‘meet’ section but for now, I am happy growing the blog in a simple way, having fun and learning a lot as I go! Because I’m passionate about it! Coming from a French background, food has always been an important part of life. I was lucky enough to grow up in a household where food and togetherness was celebrated. Every evening we had family supper around the table where stories were shared and discussions borne. Not only do I love eating food but I love the artistry behind making it. I love the palate of colour and design on the plate. It is edible art! I also love writing and connecting with people. Blogging brings about all these elements in harmony. Rather haphazardly! I love nothing better than sitting down with a food magazine or cookbook and absorbing all the delicious recipes. I also love working out the flavours and ingredients from great food in restaurants at home and abroad, or being inspired by a family dish. 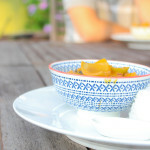 If it’s something I want to eat, then it’s something I want to try and make and then blog about! Once I’ve cooked the dish, I then set about photographing it as quickly as possible so I can eat it while it’s still hot! (Incidentally, this was rather a challenge when shooting the soufflés as they began to sink after a few minutes outside!) I have bought some great, rustic props and enjoy the artistic process of creating a picture. I am always impatient to see what the finished shot will look like. If it’s needed, I then tweak the photo using Adobe’s Lightroom which is an amazing photographer’s tool. In terms of the writing, it usually (definitely not always!) flows quite easily, as I am pretty excited about the dish! I am a chatty person in general and love connecting with people, which I think definitely helps. Once published, I then share the post on social media sites such as Pintrest, Facebook and Twitter. Like the sad case I am, I then check it a million times to see if anyone has engaged with my post! 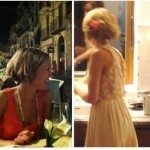 To conclude my personal part in this tour, I am nominating two of my favourite blogs. 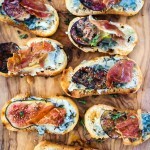 These blogs are amazing and are what first inspired me to write about food. They have a lot of exciting projects going on at the moment so sadly won’t be able to answer the exact questions as above, but have so much insight already on their blogs into their blogging journey. Please do check them out, and enjoy! These guys are my heroes. I first stumbled upon Lindsay and Bjork when beginning to think about setting up my own blog, and have been hooked ever since. Lindsay’s writing style is so funny, warm and engaging and you feel like she’s one of your friends already, even though she lives miles away in America! I love her recipes as they are so easy to make and packed full of interesting and delicious ingredients. 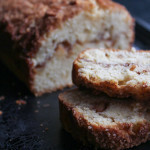 I LOVE every recipe I’ve tried from Pinch of Yum. You must try them too! 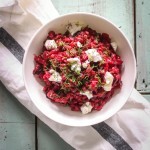 Lindsay has published some awesome cookbooks. She has also published an amazing book on food photography (which I have a copy of!) and has countless inspiring ideas behind food blogging. Thank you guys! 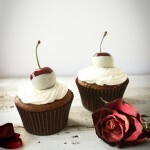 Fellow Brit Kate writes a fabulous blog on her baking adventures. 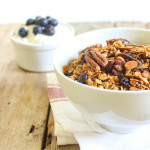 Kate writes with such authenticity and passion and it shines through in her gorgeous recipes. Kate shares similar sentiments to me, in that she believes food should be cooked with love and eaten with a sense of occasion, as the pleasure of food is as much about the experience as the food itself! Kate is about to travel to Italy to her parents’ house (very envious!) and I can’t wait to read about her culinary experiences there! I am also very excited about Kate’s new cookery book which is coming out soon. Preheat the oven to 200 deg C. Grease the ramekins with the butter. Place the raspberries and 100g of the sugar in a pan. Heat for 6-7 minutes until the raspberries have broken up. Sieve into a bowl and discard the pips. Once cool, stir in the vanilla extract and lemon juice. Place a spoonful or two of the raspberry mixture into each ramekin. Mix the cornflour with 2 tbsp of water then stir into the remaining raspberry mixture. In a separate bowl, mix the egg whites with an electric mixer on a slow speed working towards medium. Continue until you reach medium peaks. When you do, add the remaining 100g caster sugar and whisk until the egg whites are thick and silky. Fold ⅓ of the egg whites into the raspberry mixture then fold in the remainder. Fill the ramekins to the top with the soufflé. Smooth the surfaces. Place in the preheated oven on a baking tray for 8 minutes until well risen. Dust with icing sugar and serve with the coulis. Place the raspberries and sugar together in a small pan and heat until the raspberries have broken up. Sieve into a small bowl and discard the pips. Add a generous dash of creme de cassis and stir. Pour into a small serving jug. Allow guests to create a hole in their soufflé and pour in the coulis, as liked.